This is the "EC-130 Compass Call" OIF 2005 deployment patch. It states "Performing Nightly Over Iraq". I don't have any other info, so if you know of any history of this patch, let me know. This patch was created for the ABCCC community that flew the EC-130. It states "Going to Missiles". This is the color version of the 5th Reconnaissance Squadron patch. The 5th Reconnaissance Squadron patch that you have is actually a replica of the 5th Strategic Reconnaissance Training Squadron patch, which was deactivated in 1991. They flew SR-71's, T-38's, and U-2's. The 5th SRTS was based at Beale AFB, California and it duties were taken up by the 1st RS, also based at Beale. This is the color version of the 13th Reconnaissance Squadron patch. I don't have any other info, so if you know of any history of this unit, let me know. This is the "End of an Era" patch created by the 117th Reconnaissance Wing that flew the F-4 Phantom as part of the ALABAMA Air National Guard out of Birmingham, AL. This is the "PHANCON-93" patch created by the 117th Reconnaissance Wing that flew the F-4 Phantom as part of the ALABAMA Air National Guard out of Birmingham, AL. 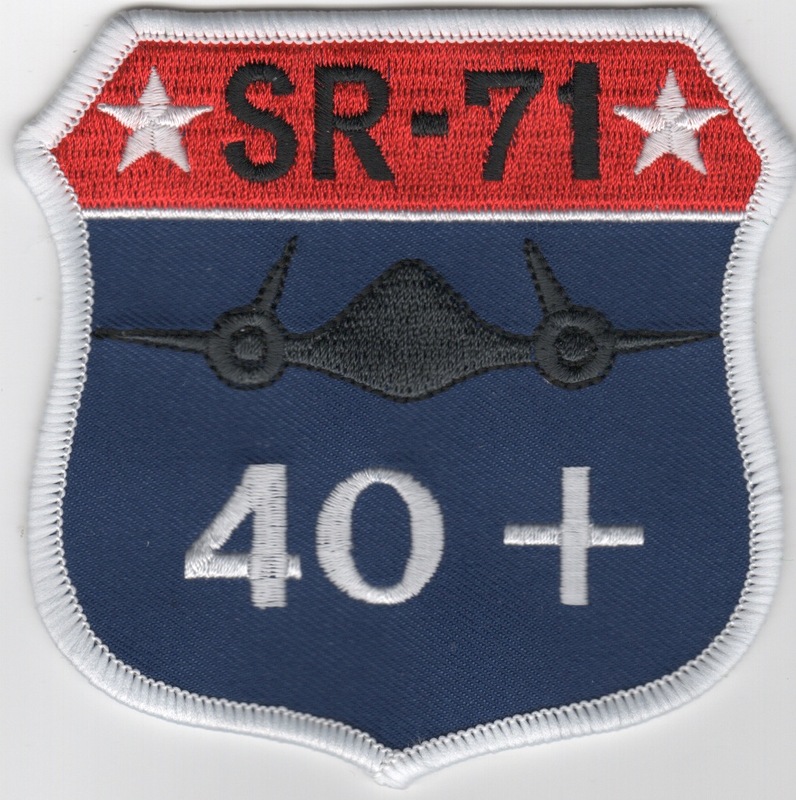 This is the "Recce Rebel" patch created by the 117th Reconnaissance Wing that flew the F-4 Phantom as part of the ALABAMA Air National Guard out of Birmingham, AL. This is the "Security Police" patch created by the 117th Reconnaissance Wing that flew the F-4 Phantom as part of the ALABAMA Air National Guard out of Birmingham, AL. This is the desert version of the squadron patch for the 363rd Electronic Air Reconnaissance Squadron deployed to PSAB, Saudi Arabia. This patch is for the Multi-Sensor Command and Control Aircraft - Experimental. It says "Paul Revere ... rides again" and has the new USAF symbol on it. This patch is for the Multi-Sensor Command and Control Aircraft - Experimental. It says "Task Force...Paul Revere" and shows him riding on it like the guy from Dr. Strangelove. This patch is for the Multi-Sensor Command and Control Aircraft - Constellation. It says "Task Force Paul Revere" and has the new USAF symbol on it. This patch is for the Multi-Sensor Command and Control Aircraft. It says "Task Force Paul Revere - Rides Again" and has the new USAF symbol on it. 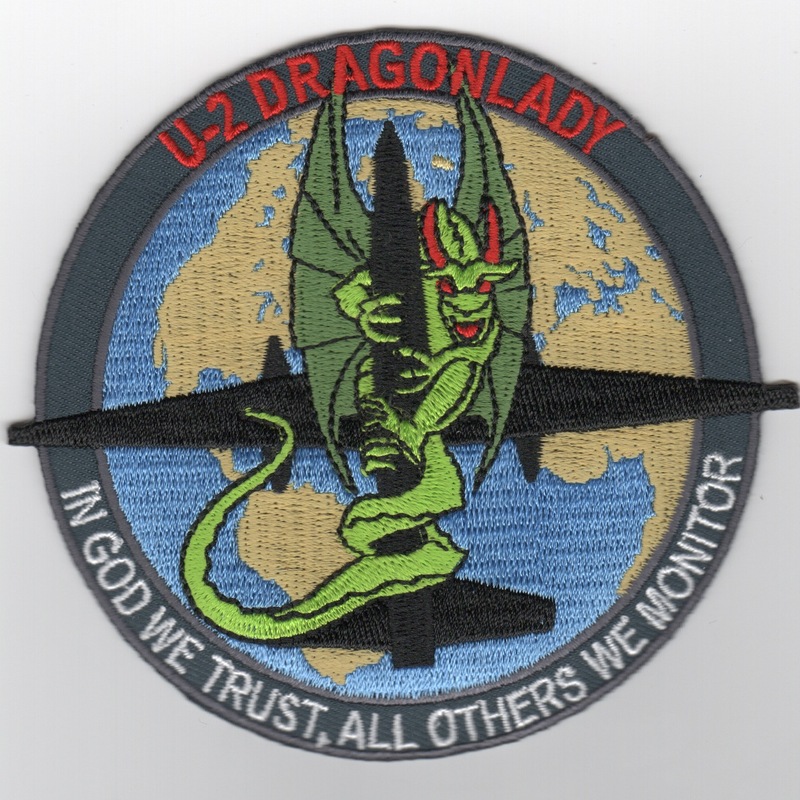 This is the blue bordered version of the U-2 Dragon Lady patch that states "In God We Trust, All Others We Monitor". In Stock: OUT, but working on getting more. This is the color patch of the U-2 Dragon Lady patch that states "SOLUM VOLAMUS". This is the desert patch of the U-2 Dragon Lady patch that states "SOLUM VOLAMUS". This is the merrowed-bordered version of the "OLIVE HARVEST" patch from the U-2 DragonLady community. It shows "Snoopy" in a space suit with the saying "STILL NOT HERE AFTER FORTY YEARS" along the bottom with the dates "1974 - 2014". This patch does not come with velcro attached. 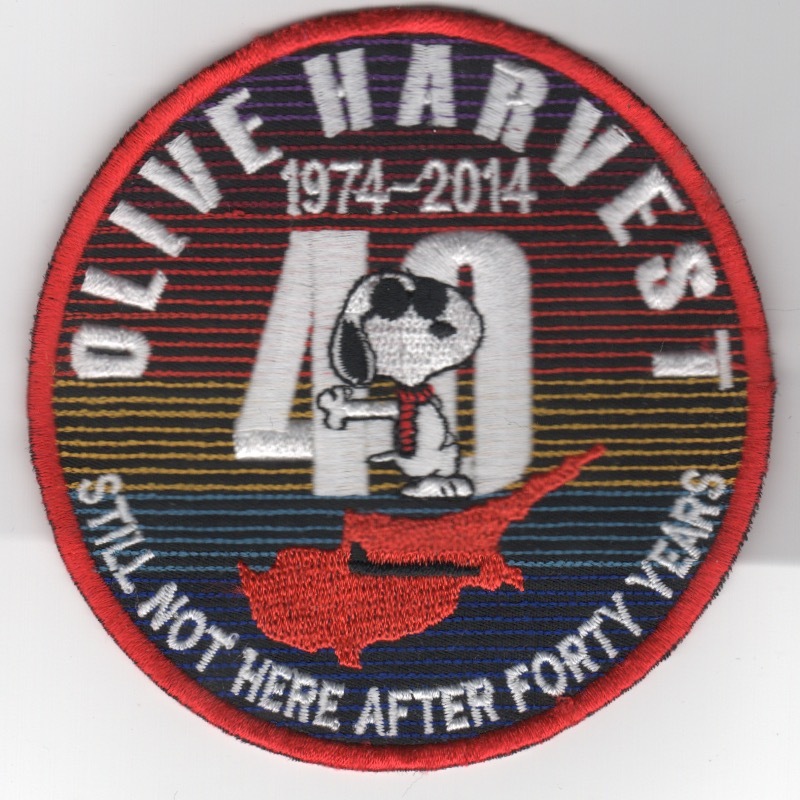 This is the 'cut-edge version of the "OLIVE HARVEST" patch from the U-2 DragonLady community. 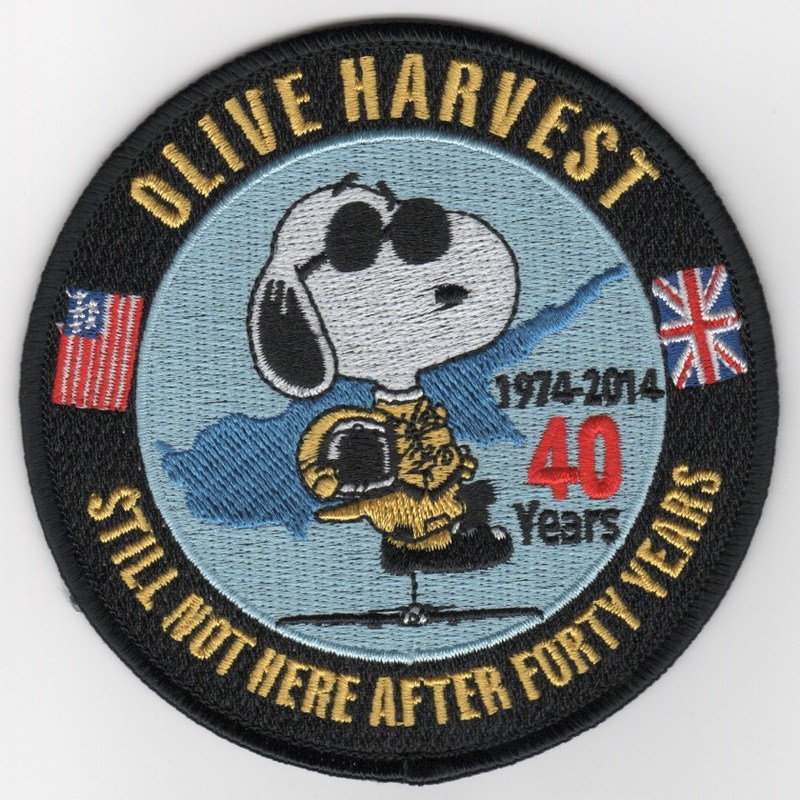 It shows "Snoopy" leaning against the '40' with the saying "STILL NOT HERE AFTER FORTY YEARS" along the bottom with the dates "1974 - 2014". I found this patch in a Korean embroidery shop, has the 'theater-made' feel to it with a 'cut-edge' border and twill background, and does not have velcro attached. This is the 50th Anniversary patch created for the U-2 "Dragon Lady". It has the dates of 1955 - 2005 and says "CIA NACA NASA USAF" along the bottom. 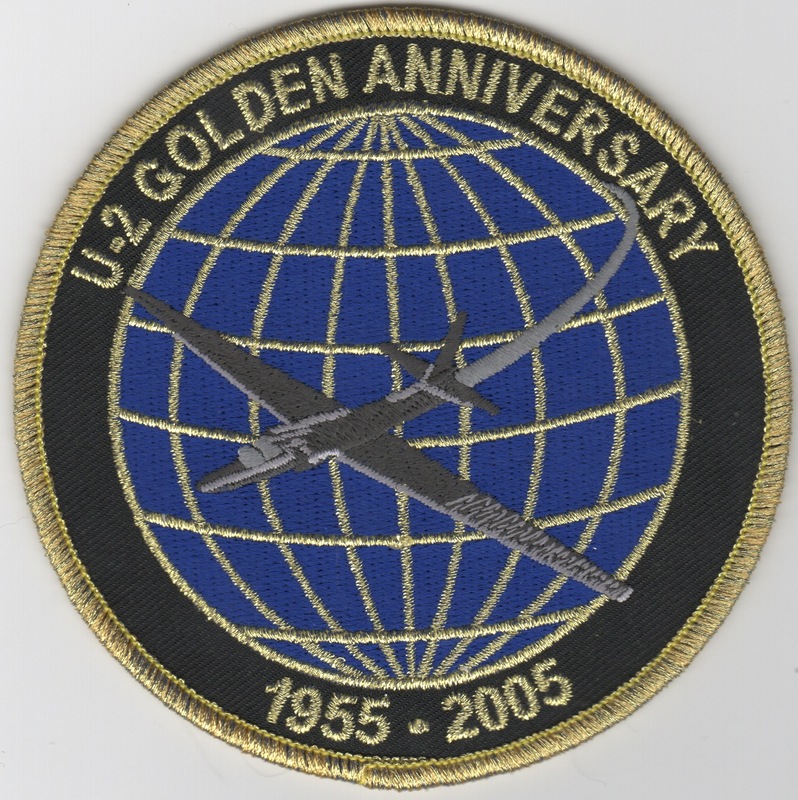 This is the "50th Anniversary" patch created for the U-2 "Dragon Lady" using the "gold" threading. This patch does not come with velcro attached. 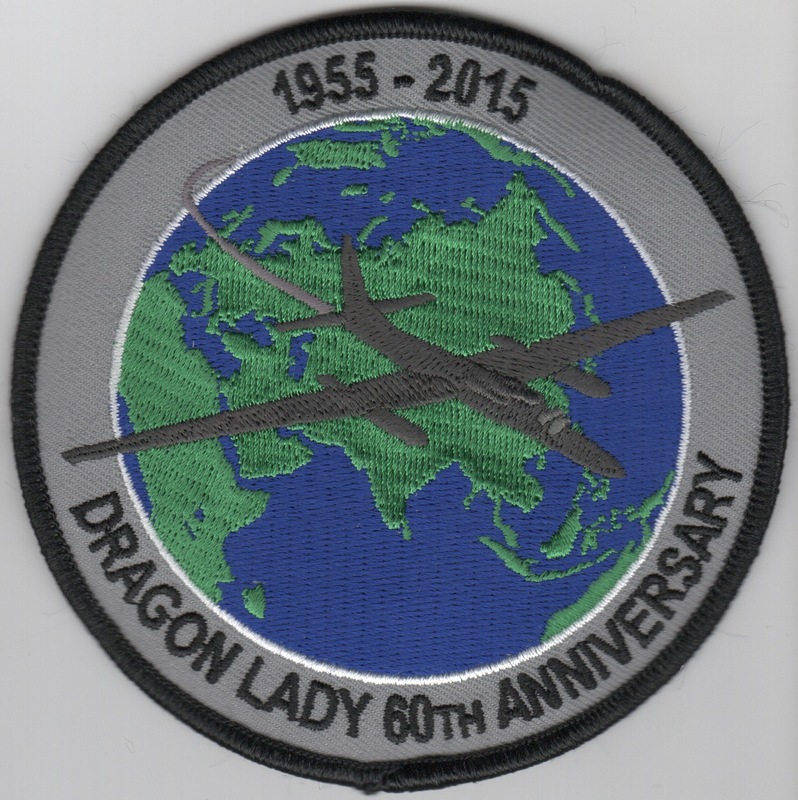 This is the "60th Anniversary" patch created for the U-2 "Dragon Lady". It has the dates of 1955 - 2005 and says "DRAGON LADY 60th ANNIVERSARY" along the bottom. Picked up in Korea: This is the U-2 DRAGON LADY 'Challenge' coin which shows the aircraft on the front. The back of the coin can be seen below. Picked up in Korea: This is the U-2 DRAGON LADY 'Challenge' coin which shows the aircraft on the front (above). The back depicts a serpent around an image with the words "TOWARDS THE UNKNOWN" underneath. This is the diamond-shaped version of the SR-71 Blackbird's patch indicating that it's "top speed (Mach 3+)" was even greater than publicly known....as was the altitude capability of that amazing aircraft! 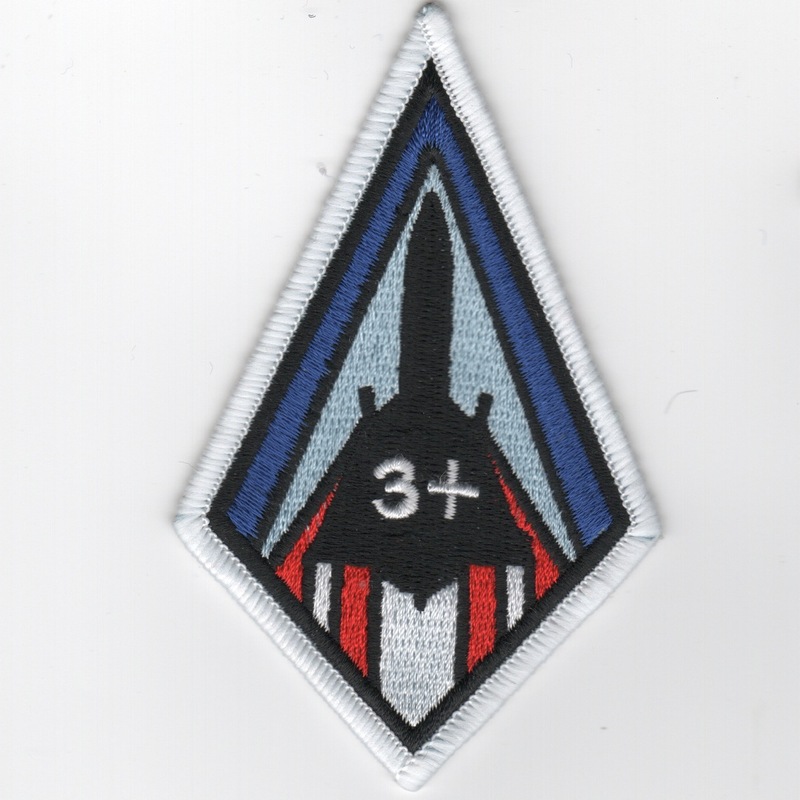 This is the round version of the SR-71 Blackbird's patch indicating that it's "top speed (Mach 3+)" was even greater than publicly known....as was the altitude capability of that amazing aircraft! 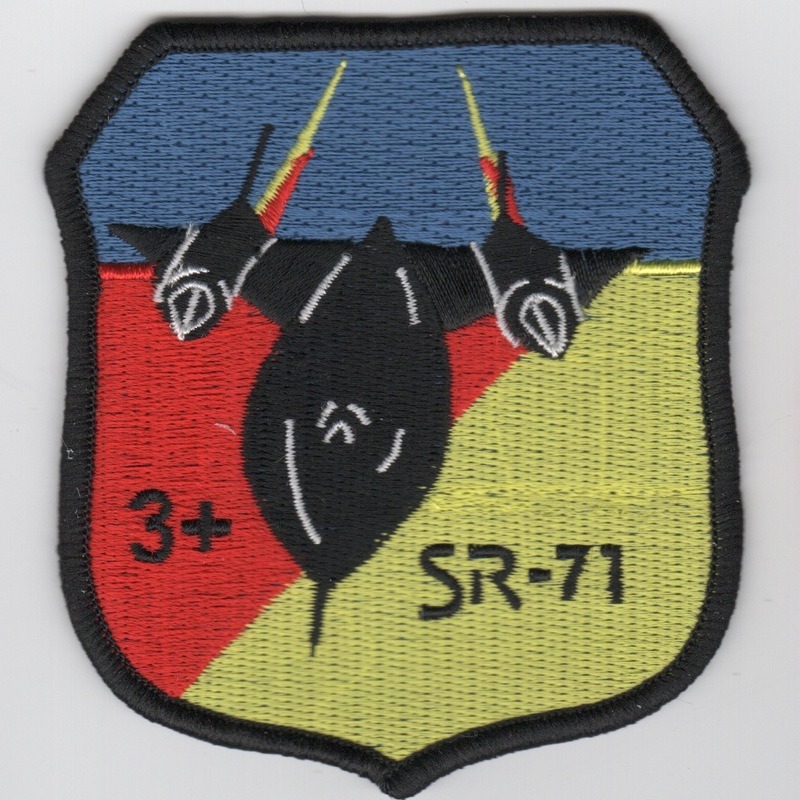 This is the crest version of the SR-71 Blackbird's patch indicating that it's "top speed (Mach 3+)" was even greater than publicly known....as was the altitude capability of that amazing aircraft! 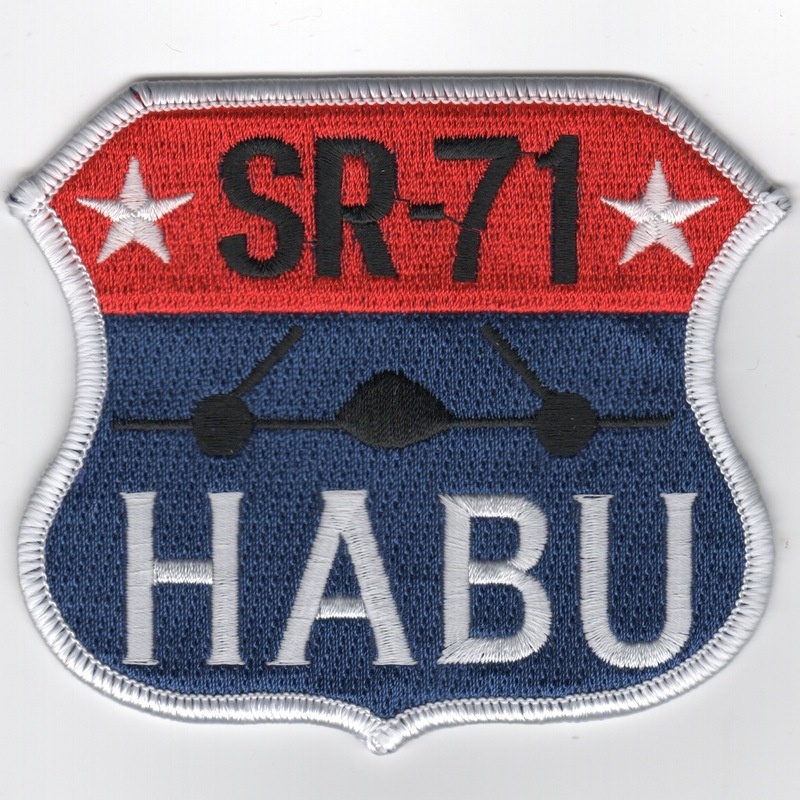 This is the crest patch created for the SR-71 that says "HABU". When the SR-71 were first flown to their new remote base at Kadena AFB in Okinawa, the local people thought that this strange and somewhat wicked-looking airplane was shaped like the habu snake.� They started calling it the habu airplane, and later just habu.� Crews who flew the airplane were also called Habu, and the name came to be recognized with the blackbird program and even incorporated into the insignia worn by the crews on their uniforms. 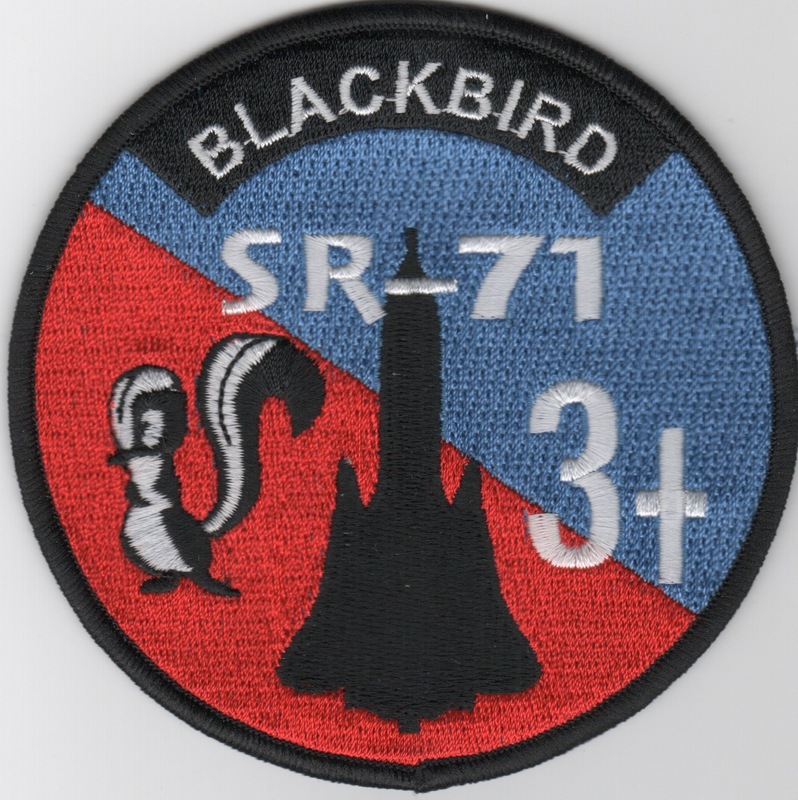 This is the crest version of the SR-71 Blackbird's patch indicating that it's "top altitude (40K+ feet)" was even greater than publicly known....as was the airspeed capability of that amazing aircraft! This is the subdued version of the uniform crest for the 67th Tactical Reconnaissance Wing. This is the subdued version of the uniform crest for the 106th Tactical Reconnaissance Squadron. This is the colored version of the squadron patch for the 343rd Reconnaissance Squadron. This is the blue-bordered version of the "RAVEN" patch for the 343rd Reconnaissance Squadron. This is the color version of the squadron patch for the guys in the 763rd Electronic ReconnaissanceSquadron. This is the desert version of the squadron patch for the guys in the 763rd Electronic Reconnaissance Squadron. Homepage | Order Recon Patches!